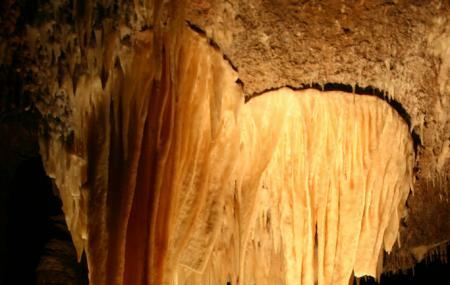 Buchan Caves Reserve is a series of caves that contain beautiful limestone formations. This cave reserve is located near the town of Buchan. The limestone formations were formed due to the erosive river flowing through the caves. The rain water seeped through some of the caves has made the limestone dissolve giving rise to many beautiful formations. As this water seeps through the roof of the caves crystallise into small rings. Guided tours are available at the cave. Explore Buchan Caves Reserve and other prime spots of the city using Buchan trip planner. Add comfortable hotels to your plan, choose from the recommended hotels in Buchan like Callemondah House B&b. Choose from variety of exclusive Buchan vacation packages for your next visit or create own own. Check out the various options for how to reach Buchan and finish off your vacation package by booking the ideal transfer. Love this? Explore the entire list of places to visit in Buchan before you plan your trip. Fancy a good night's sleep after a tiring day? Check out where to stay in Buchan and book an accommodation of your choice. Awesome experience, Heather our guide was engaging and informative. Kids had a wonderful time and a experience of a lifetime. Reception staff were very friendly and kind, looking after a little one who had a "accident". Overall a wonderful experience. Brilliant camp site, family friendly and just right amenities and fire places.. I wish we were allowed private fires... My family didn't want to leave.. Swimming pool was the best thing that we did..
We enjoyed a delightful and interesting tour of the Royal Caves. Though the caverns are large, points in the walk between can be tricky to navigate for the tall and Christmas-tide wide in case you're wondering but worth the discomfort! The natural formations are incredible and you are touched by a sense of wonder by the slow patience of water molding stone over time.